Fathers Day is just around the corner, and we’re giving away two luxury hampers to celebrate all the great Dads out there. Did you know Fathers’ Day has been celebrated since the middle ages? It first began in Europe as a day to honour fatherhood, and now is celebrated all over the world and remains a day where every Dad is made to feel special. They deserve it after all! Choose between the Ruby Red Wine hamper, or the Premium Beer Box and treat your Dad to an assortment of delicious, award winning treats that he will love. The Beer Box is beautifully presented in a black magnetic box, and the Ruby Red Wine hamper is nestled in a handmade sea grass and wood basket, guaranteed to make your Dad feel extra special this Father’s Day. A selection of premium lagers from around the world with a delicious range of cakes and snacks. 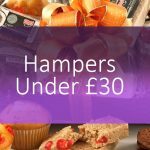 This hamper is sure to be a hit with any Dad who appreciates a cold beer and some tasty treats like Luxury Fruit Cake, Hand Made Tomato & Sesame Savoury Mini Breadsticks and many more! The contents are presented in a beautiful magnetic box. 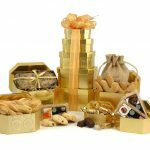 This luxury hamper is filled with all kind of goodies that Dad will love. 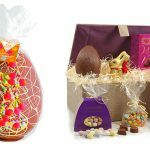 Treat him to a range of treats like Belgian chocolates, shortbread, chocolate coated honeycomb and many more. All of these delicious nibbles pair wonderfully with the award winning bottle of Chilean Merlot. Complete your entry by leaving a blog post comment telling us which hamper your Dad would love – (The Ruby Red Wine Hamper, or The Premium Beer Box) and what your favourite thing about your Dad is. The competition will close at 2pm on Sunday 11th June 2017. 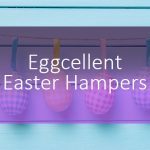 One winner will be selected for each hamper. This competition is open to UK residents only. For always having great advice. His naivety and innocence! He’d definitely love the Ruby Red Wine Hamper. Premium beer box and my father words of wisdom which always start with back in the days !! he’s always there for me, and he’s love the beer hamper please. My favourite thing about my dad is his sense of humour! 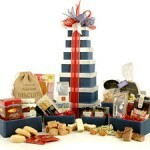 I think he would love the Luxury Food and Wine Tower hamper. My dad would like the ruby red wine hamper. My favourite thing about him is his sense of humour. My dad is always happy – and is the peacekeeper of the family – two reasons he’s the best! My Favourite thing about MY dad is that even though I am 41 years old, He will still come running to help me with whatever I need, as he still sees me as his “little Girl”. how determined he is , to do anything he chooses , nothing stands in his way, love that drive. he would love The Premium Beer Box. He would like Premium beer box. I think he would like the beer hamper! My favourite thing about my dad is how caring he is. I’m sure he’d love the red wine hamper. My Dad would love the Ruby Red Wine Hamper. My favourite thing about my Dad is his unconditional love. My dad is always there for me and that’s what I love about him. He’s love the red wine hamper. My favourite thing about my dad is his kids. He’d really enjoy the premium beer box. He’s really great at fixing things! I am entering on behalf of my 3 year old daughter for her Daddy. He would love the ruby red wine hamper even though he is a blue. (evertonian fan) I asked her what she loves the best about her Daddy and she replied his glasses haha. My dad would love the Premium Beer Box. My favourite thing about my Dad is that he does all my DIY for me. Ruby red wine hamper, and inspiring me to become an engineer like him! His wittiness. Beer box please! His kindness to others. I think he would like the picnic hamper for 2. I lost my dad 2 years ago, he was amazing at everything! 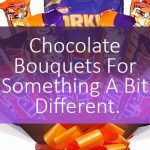 I’d love the beer hamper for my partner who we have 2 boys together – he’s amazing too! My dad has always been so lovely and I have never heard him shout.He would like the Beer hamper please. to my dad who’s a great handyman. but can he fix it? of beer,as he is a fab guy!! My favourite thing about my Dad is that he is always honest. He would love the Premium Beer Box for Father’s Day. I love how supportive my dad is and the fact that I can talk to him about anything and he can give me the best advice! The Ruby Red Wine hamper please. The Ruby Red Wine Hamper please and my Dad is fantastic at giving advice on things that I don’t know much about. And he would love the beer! My dad is always there if I need him. The Ruby Red Wine Hamper. The premium beer box would be fab! My Dad would love the Ruby Red Wine Hamper. He always has words of wisdom but I don’t always listen to them! My Dad would love the “Ruby Red Wine Hamper”. My favourite thing is he is my best friend as well as my Dad. I couldn’t ask for a better Dad! I love everything about my dad – he’d love the beer box! He’s always there for me and he would love the beer one the best! My Dad would love the beer! He’s so funny all the time! My favourite things about my dad is his sense of humour and he would love the Ruby Red Wine hamper. My dad would love the beer hamper. He’s the only person in the whole world that I know who is always smiling. Even after he has a moan he laughs it off and nothing gets him down. I wish I could get this trait from him. He’s the best man in the world. No doubt about it, he would love the premium beer box because he loves trying different beers! He is the best dad ever to my boys. His sense of humour – its fantastic. His silly jokes always make me laugh. My dad would love the Premium Beer Box. He’d be a very happy man indeed to receive that. The thing I love most about my dad is how much he loves & cares for my mum – he treats her so well and is her rock. His generosity and loving nature. He’d love the Ruby red wine hamper. 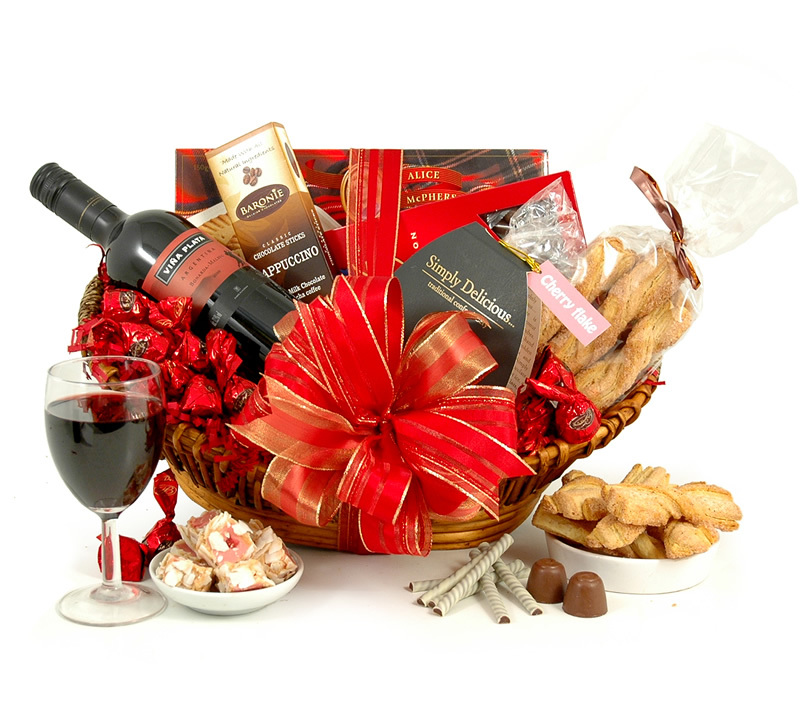 My dad is no longer around, but the ruby red wine hamper would be my husband’s favourite. He is the best dad to our kid’s and my daughter says her favourite thing is his mad sense of humour! 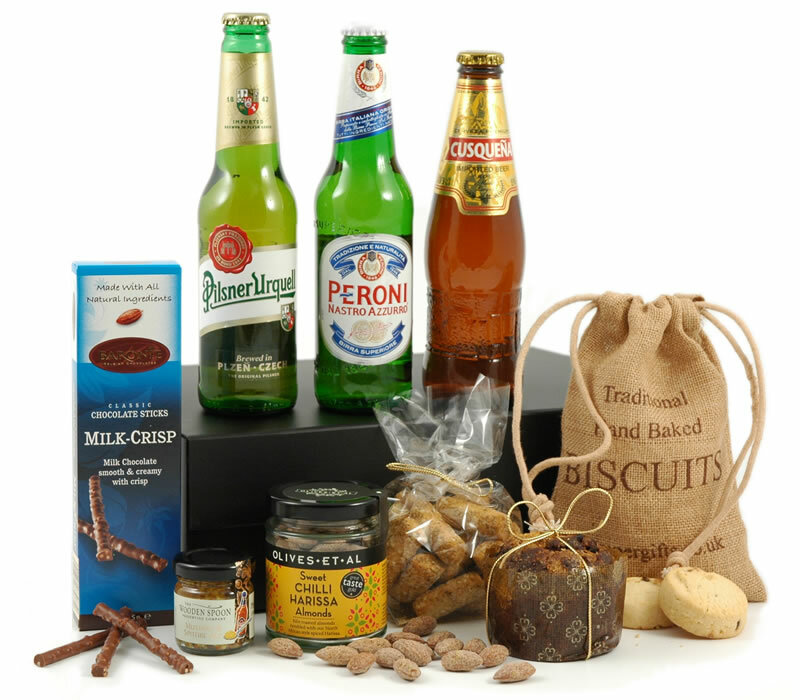 Unfortunately I havent got a dad but my partner is a wonderful dad and deserves a treat, he would love the Continental Beer Basket hamper. The Ruby Red Wine Hamper would be fab, and that my dad is ace at fixing things, like anything!! Such a hard worker and a great influence. would love a ruby red wine hamper for him. my dad is so funny! he makes me laugh alot! Knows the answer to everything and can do anything too. Loves me unconditionally and the feelings mutual he’s my hero. The Ruby Red wine box please. 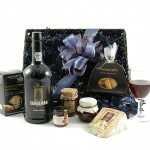 My Dad would love the Ruby Red Wine hamper! His unfailing cheerfulness is amazing ~ he keeps us all laughing all the time. My favorite things about my dad is his kindness and helpfulness, he is always on time without fail when I need him to. His really corny jokes! He would love the ruby red wine hamper please! The Ruby Red Wine Hamper. His humour. My dad is a great dad, grandad, gardener and handyman – he does so much for me! Ruby Red Wine Hamper please! My favourite things about my dad is his generosity and humour. The Ruby Red Wine hamper would be wonderful!